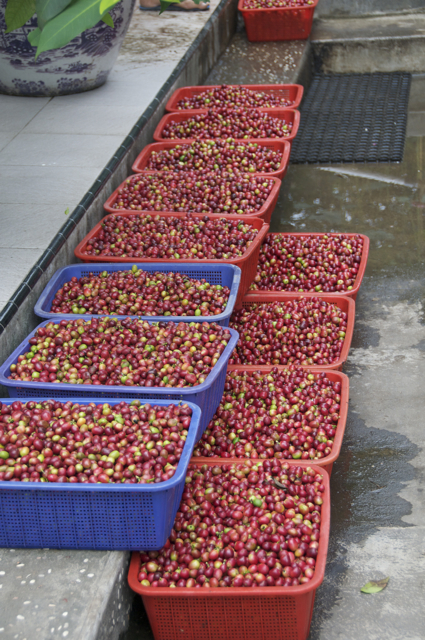 For information on Coffee Processing courses, please visit the education tab. This word gets used a lot in the coffee industry. From our perspective, sustainability means developing and implementing an affordable and attainable system between us, our adopted farm families and the roasters who buy the coffee. Sustainable farming increases long term production and quality. The consumer is the winner in the end. Balancing science and nature keeps the market vital and coffee quality at its most flavorful. Farm Adoptions have a had huge impact on the farm families and the environment through real assistance with organic inputs, shade trees and labor assistance for crop maintenance that allows farm families to stop using herbicides to control undergrowth and improve farm hygiene. Making a difference, from the ground up is our goal. Establishing Simalungun, North Sumatra in the international market is our dream.